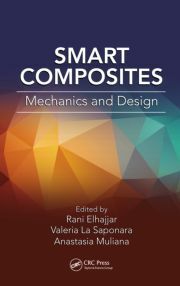 Each individual chapter also focuses on the knowledge and understanding of the interfaces manifested in these biocomposites systems and the optimization of different parameters for novel properties. 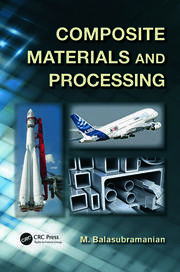 In addition to this, the book also summarizes the recent developments made in the area of injection molding of biocomposites, chemical functionalization of natural fibers, processing of biocomposites, and their applications in the automotive and biomedical industries. A number of critical issues and suggestions for future work are discussed, underscoring the roles of researchers for the efficient development of biocomposite materials through value addition to enhance their use. Vijay Kumar Thakur, PhD, is staff scientist at the School of Mechanical and Materials Engineering at Washington State University in Pullman, Washington. He is an editorial board member of several international journals, including Advanced Chemistry Letters, Lignocelluloses, Drug Inventions Today, International Journal of Energy Engineering, and Journal of Textile Science & Engineering and is also a member of scientific bodies around the world. His former appointments include as a research scientist in Temasek Laboratories at the Nanyang Technological University in Singapore, visiting research fellow in the Department of Chemical and Materials Engineering at the LungHwa University of Science and Technology in Taiwan, and post doctorate in the Department of Materials Science and Engineering at Iowa State University. In his academic career, he has published more than 100 research articles, patents, and conference proceedings in the field of polymers and materials science. He has published 10 books and 25 book chapters on the advanced state of the art of polymers/materials science with numerous publishers. He has extensive expertise in the synthesis of polymers (natural/synthetic), nano materials, nanocomposites, biocomposites, graft copolymers, high performance capacitors. and electrochromic materials. Michael R. Kessler, PhD, is an expert in the mechanics, processing, and characterization of polymer matrix composites and nanocomposites. His research thrusts include the development of multifunctional materials (including the development of self-healing structural composites), polymer matrix composites for extreme environments, bio-renewable polymers and composites, and the evaluation of these materials using experimental mechanics and thermal analysis. These broad-based topics span the fields of organic chemistry, applied mechanics, and processing science. He has extensive experience in processing and characterizing thermosets, including those created through ring-opening metathesis polymerization (ROMP), such as poly-dicyclopentadiene, and the cyclotrimerization of cyanate ester resins. In addition to his responsibilities as professor of mechanical and materials engineering at Washington State University, he serves as the director of the school. He has developed an active research group with external funding of over $10 million—including funding from the National Science Foundation, ACS Petroleum Research Fund, Strategic Environmental Research and Development Program (SERDP), Department of Defense, Department of Agriculture, and NASA. His honors include the Army Research Office Young Investigator Award, the Air Force Office of Scientific Research Young Investigator Award, the NSF CAREER Award, and the Elsevier Young Composites Researcher Award from the American Society for Composites. He has published over 100 journal papers, with over 3700 citations, holds 6 patents, edited a book on the characterization of composite materials, presented over 200 talks at national and international meetings, and serves as a frequent reviewer and referee in his field. "... 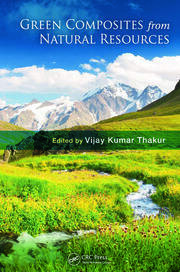 This volume, edited by Thakur and Kessler (both, Washington State Univ. ), includes some of the same biomaterials, such as cellulose and nanocellulose, as in similarly titled books, but it also includes hydroxyapatite and spider silk. 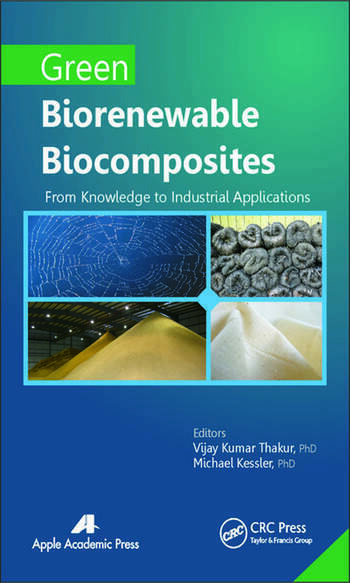 It largely focuses on composites prepared for specific applications, with several chapters describing biocomposites for sound absorption and others for use in the body, but biocomposite processing and properties are extensively discussed throughout much of the book. Summing Up: Recommended. Graduate students, researchers/faculty, and professionals/practitioners."